Currently Personal Financial Management (PFM) solutions provide automatic categorizations of expenses based on the type of store. So, a purchase at Rewe is categorized as groceries. We use a code submitted through the card transaction to split the amount into several categories. 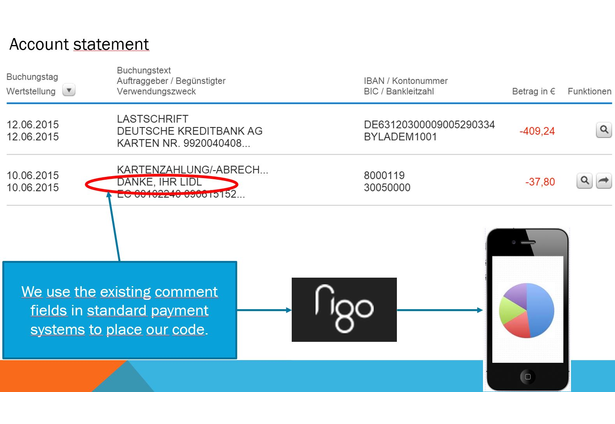 The MVP extracts the code from transactions on the bank statement and applies categorizations. The MVP is limited to a fixed number of categories and applies to purchases at groceries store. To be successful, our product needs a supermarket partner. Since market concentration is extremely high in Germany, just starting with one chain like Rewe provides very large scale. The backend is programmed using Clojure. The iPhone app is developed with Swift. 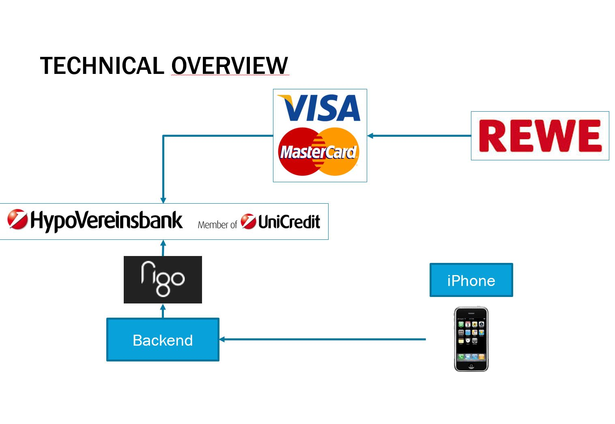 Bank transactions are extracted by using the Figo API. Comments for this submission are closed. View the software in robertlengsfeld's portfolio to continue the conversation.